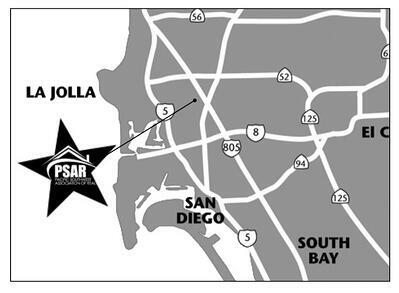 PSAR is proud to announce that a new Service Center in San Diego’s Clairemont community. The new centrally located PSAR facility, easily accessible throughout central San Diego, at the Liberty Park Plaza, 4340 Genesee Ave., Suite 203, San Diego. We are right next door Curves on the Second floor. Clairemont is a vibrant, culturally and ethnically diverse suburb conveniently located for commuters between three freeways, including Interstate 5 and 805 and State Route 52. Its perch atop the mesas of San Clemente Canyon and Tecolote Canyon affords enviable views of Mission Bay and the Pacific Ocean. The community’s early developers, Lou Burgener and Carlos Tavares, changed the community’s name from Morena Mesa to Clairemont in honor of Tavares’ wife, Claire. In the early 1950s, Clairemont became San Diego’s largest post-war subdivision. Burgener once boasted that between 1952 and 1954 an average of seven tract homes were constructed per day. Clairemont was known at the time as the largest development of its kind in the country. Considered innovative at the time, homebuilders abandoned a more traditional gridded blocks and streets in favor of cul-de-sacs and meandering streets. Today, Clairemont offers perhaps the most multicultural dining options in San Diego County. Here you can find international markets, as well as Thai, Italian, South African, Mexican and Lebanese restaurants all within the same block. -- The median sales price for a detached single-family home in Clairemont was $729,000 in October 2018, which was 10.3 percent higher than the $660,750 price in October 2017. The October 2018 monthly figure for detached homes in Clairemont was 8.7 percent higher than the year-to-date median sales price of $690,000. -- In Pacific Beach, the median sales price for a detached single-family home was $1.295 million in October 2018, which was 5.6 percent higher than the $1.226 million in October 2017. The October 2018 monthly figure for detached homes in Pacific Beach was 8.6 percent higher than the year-to-date median sales price of $1.250 million. -- In University City, the median sales price for a detached single-family home was $922,500 in October 2018, which was 2.7 percent higher than the $898,000 price in October 2017. The October 2018 monthly figure for detached homes in University City was 5.9 percent higher than the year-to-date median sales price of $900,000. -- In Linda Vista, the median sales price for a detached single-family home was $610,000 in October 2018, which was 3.3 percent lower than the $630,500 price in October 2017. The October 2018 monthly figure for detached homes in Linda Vista was 9.1 percent higher than the year-to-date median sales price of $635,000. For attached homes, the market also varies greatly among the four communities. -- For attached homes in Clairemont, the median price was $441,250 in October 2018, which was 6.5 percent higher compared to the $414,500 price the same month a year ago. The October 2018 monthly figure for attached homes in Clairemont was 10.8 percent higher than the year-to-date median sales price of $399,000. -- For attached homes in Pacific Beach, the median price was $615,000 in October 2018, which was 2.3 percent lower compared to the $629,500 price the same month a year ago. The October 2018 monthly figure for attached homes in Pacific Beach was 0.8 percent higher than the year-to-date median sales price of $620,000. -- For attached homes in University City, the median price was $485,000 in October 2018, which was 10.7 percent higher compared to the $438,000 price the same month a year ago. The October 2018 monthly figure for attached homes in University City was 8 percent higher than the year-to-date median sales price of $464,250. -- For attached homes in Linda Vista, the median price was $420,500 in October 2018, which was 7.6 percent lower compared to the $455,000 price the same month a year ago. The October 2018 monthly figure for attached homes in Linda Vista was 4.1 percent higher than the year-to-date median sales price of $433,750.